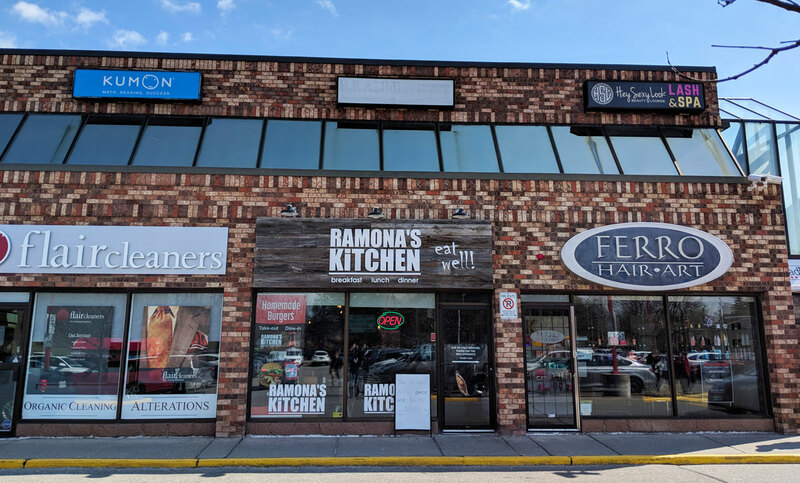 I should note a couple of things up front: Ramona’s Kitchen is popular. 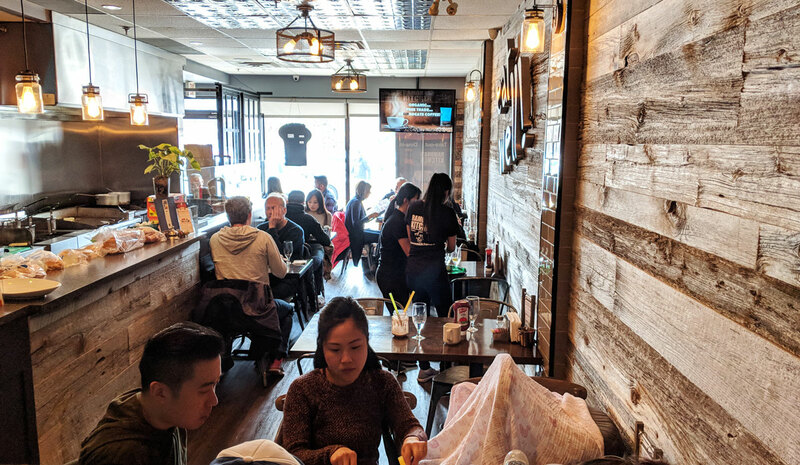 I showed up with a group of four at around 11:30 on a Saturday, and the place was absolutely packed, with a full restaurant and a bunch of people waiting around for tables. It took a solid half hour to sit down. So people obviously like the place. And everyone I was with really liked the food. A lot. That being said? I ordered the breakfast poutine, and it was kind of shocking how bad it was. 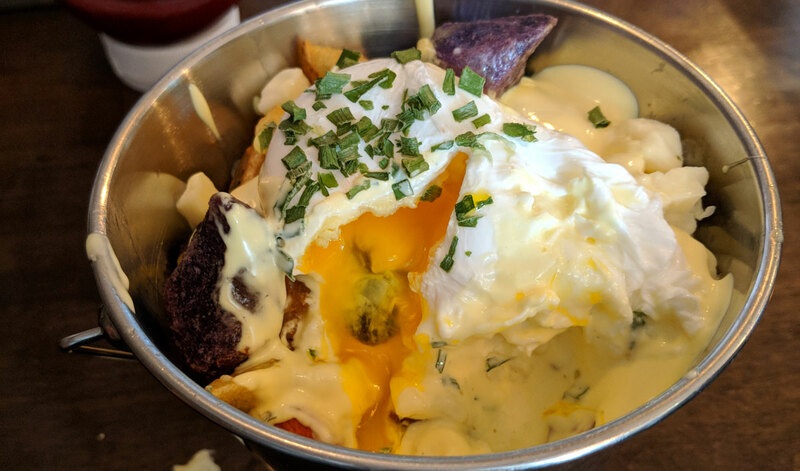 The dish consists of hash browns (which they call “tri-coloured potatoes” for the three types of potatoes they use), hollandaise sauce, cheese curds, and a poached egg. The individual components were all decent — the potatoes were crispy on the outside and soft on the inside, the hollandaise was rich and creamy, and the poached egg had a perfectly runny yolk. But the whole thing was just off. It was served in a tall, narrow bucket, which I guess is a fun presentation, but really awkward to eat out of. And while most of the components were good, the curds were a bit too salty and tasted stale (fresh curds should squeak when you bite into them; these did not). And though the potatoes were hot and fresh, the hollandaise was only warm, which didn’t provide enough heat to get the curds even vaguely melty. Also (I sure have a lot of complaints about these cheese curds, don’t I? ), the majority of the pieces were tiny little curd fragments, and since they were cold and unmelted, the whole thing was unappealingly cottage-cheese-esque. The hollandaise was quite good, though, as were the potatoes, so you’d think that alone would be enough to make this delicious. I mean, crispy potatoes? Delicious. Hollandaise? Also delicious. But if there was ever a case of “too much of a good thing,” this is clearly it. The entire bucket was absolutely swimming in heavy, creamy hollandaise, and it’s just overkill. It’s like hollandaise pudding with potatoes. It’s off-putting. That’s not to mention that, by the bottom of the bucket, the hollandaise had started to congeal, making it even thicker and richer, with a gluey, mayonnaise-like consistency. But again: I think this is a good restaurant? 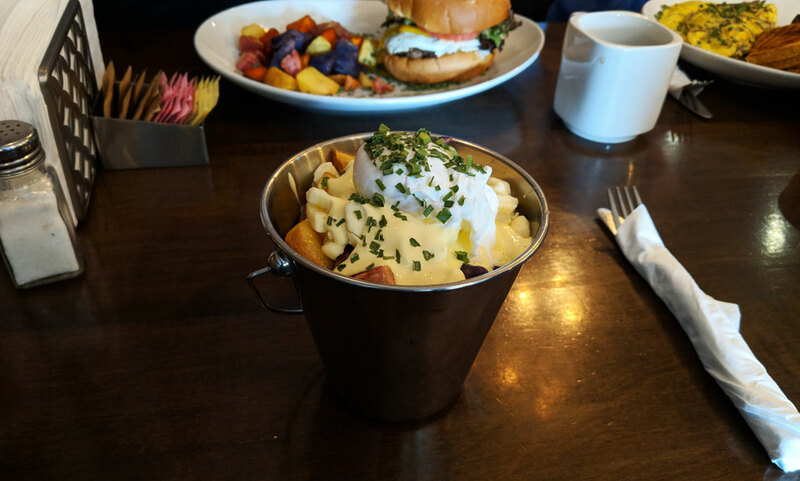 Just don’t order the breakfast poutine unless you really, really like hollandaise (and I do! But not as much as I thought, apparently). 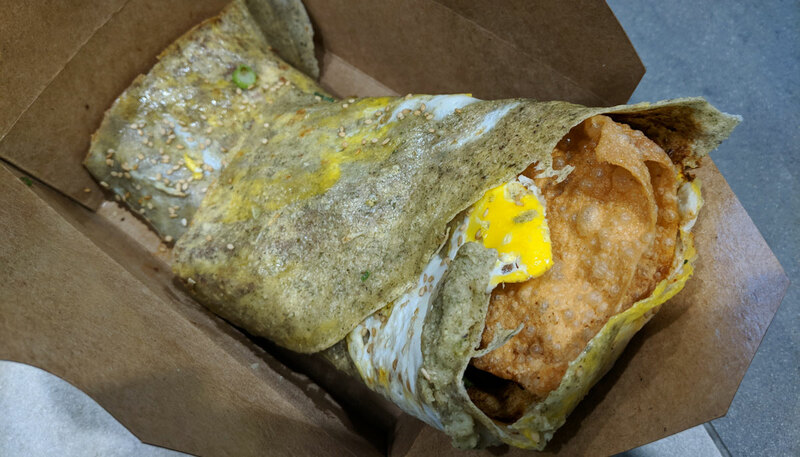 I recently blogged about the tasty Chinese crepes at the Emerald Park food court. Also at that food court? 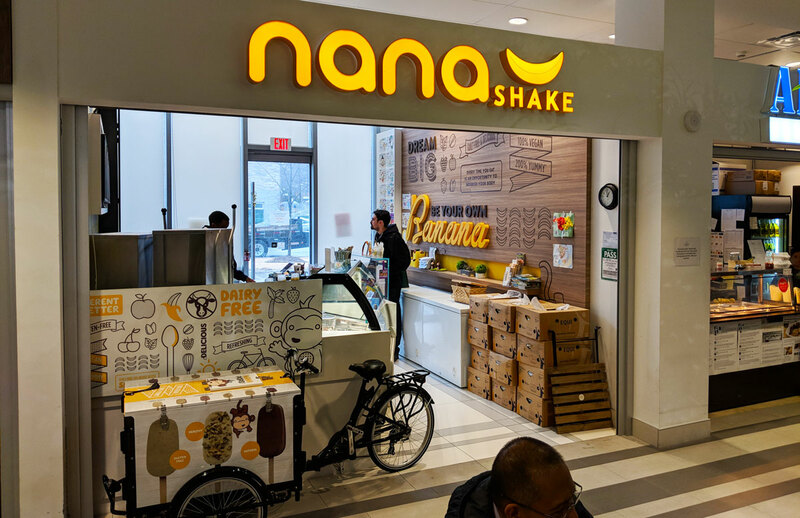 Nanashake, which serves vegan, banana-based soft serve and shakes. I almost got the soft serve (because I have a very hard time saying no to soft serve of any kind), but then I remembered that “shake” is right there in the name of the restaurant, so I got one of those instead. They have a few different flavours — strawberry, pistachio, date, etc. — but the guy behind the counter said chocolate was the most popular, so that’s what I went with. It was quite refreshing. It tasted more like a smoothie than a milkshake (it is vegan and made predominantly with bananas, after all), but whatever it is, it’s good. 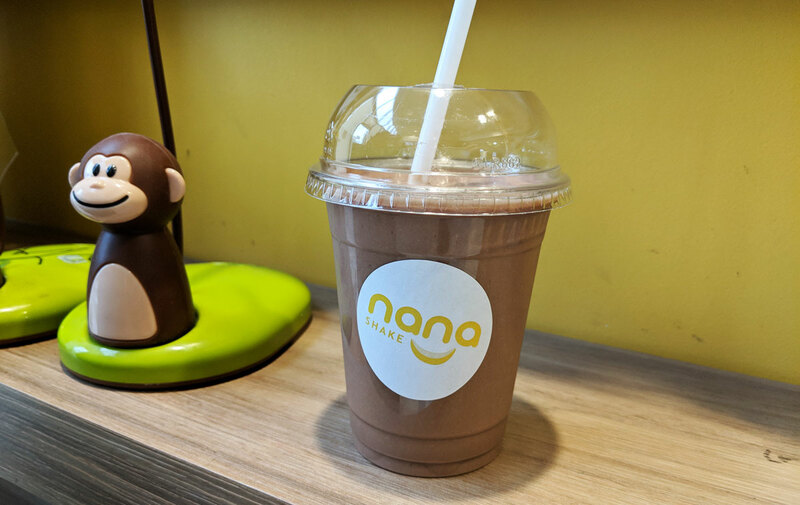 The banana/chocolate flavour was satisfying, and its level of sweetness was much more subtle than a typical milkshake. It probably won’t satisfy an all-out dessert craving, but it’s a refreshing and tasty beverage that I’d happily drink again. Plus, it is (presumably) healthy; something that’s good for you and actually tastes really good is always nice. There’s a Chinese street food called jian bing that’s fairly ubiquitous in China, but virtually unknown over here. And I’m not sure why — it’s super delicious, and it’s cheap and relatively easy to make. That’s why I was so excited when I found out that a little place called Gao’s Crepe in the Emerald Park food court serves these things. 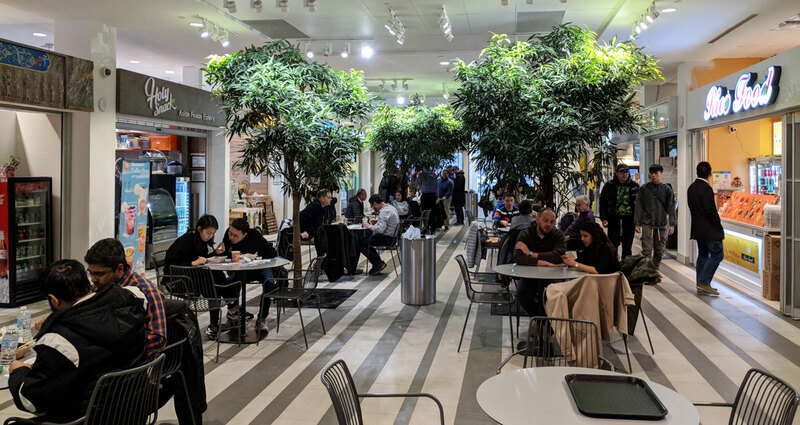 That food court is hidden away on the bottom level of a condo near Yonge and Sheppard; you’d never even know it’s there if you’re not specifically seeking it out. But it’s a gem. Aside from the crepes, there’s several interesting-looking eateries here, mostly Asian. 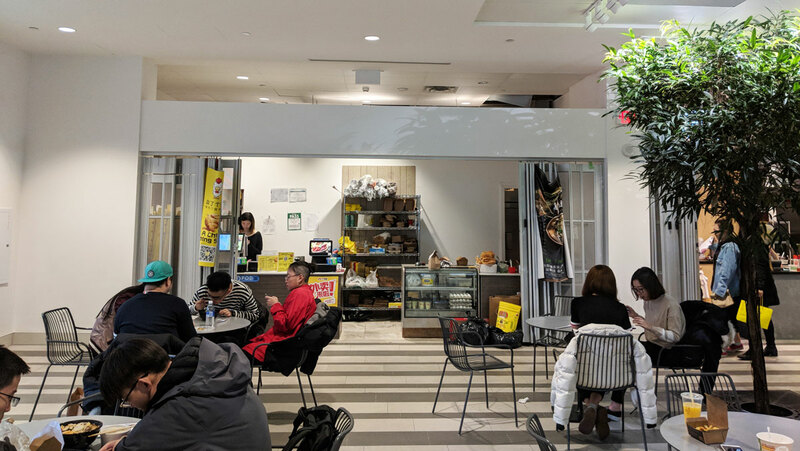 Gao’s Crepe doesn’t even have a sign, and there’s no English menu posted — again, if you didn’t know it was there, you’d pass right by. But the jian bing they’re serving is the real deal. 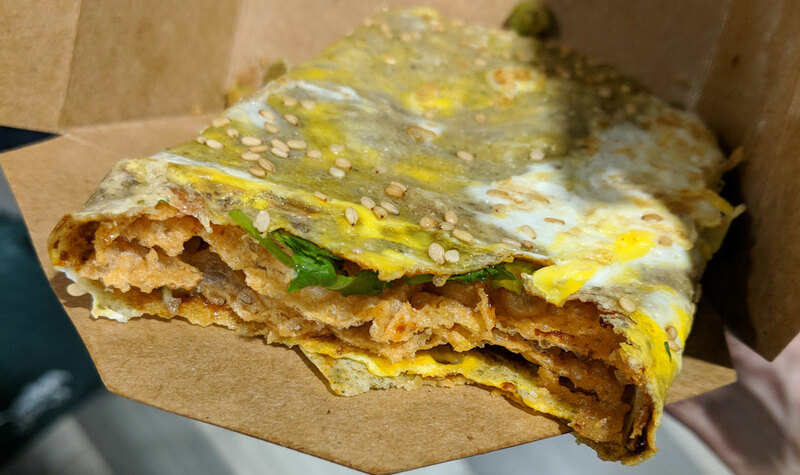 Jian bing is essentially an eggy crepe that’s coated with hoisin sauce and hot sauce, sprinkled with green onions and cilantro, and wrapped around a crispy piece of fried dough. 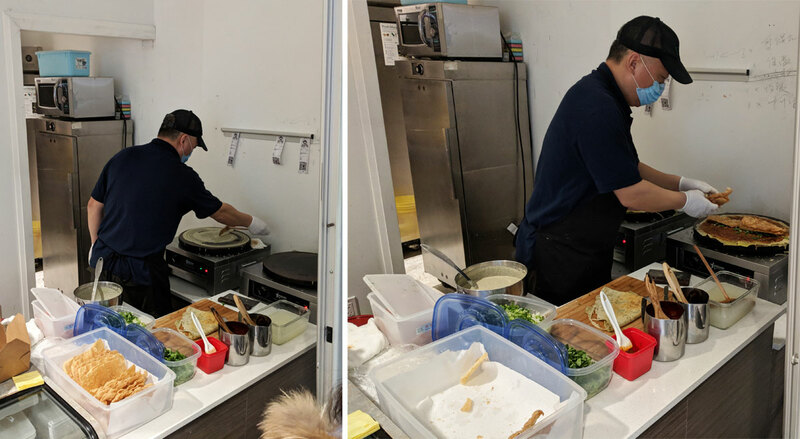 The version at Gao’s Crepe is freshly made right in front of you (you can watch the chef doing his thing). It’s quite tasty. The contrast between the chewy crepe and the crispy fried dough is really satisfying, and the vibrant flavours of the hoisin and the hot sauce matches well with the freshness of the green onions and the cilantro. It’s not as good as the versions I had in Shanghai — it’s a little dry, and the balance of flavours feels just a bit off — but then that sort of comparison is always unfair. We’re a million miles from Shanghai, and it’s quite good. Here’s a question: why isn’t frozen custard a thing in Toronto? It’s so good, and its absence makes me simultaneously sad and infuriated, because why? It makes no sense! For the uninitiated, frozen custard is basically like ice cream but better. It’s made with egg yolks along with the traditional ice cream ingredients, which gives the final product a richer, more velvety texture and an irresistibly custardy flavour. There used to be a frozen custard joint in the city called Jedd’s, but aside from the fact that it was never very good, it closed down. 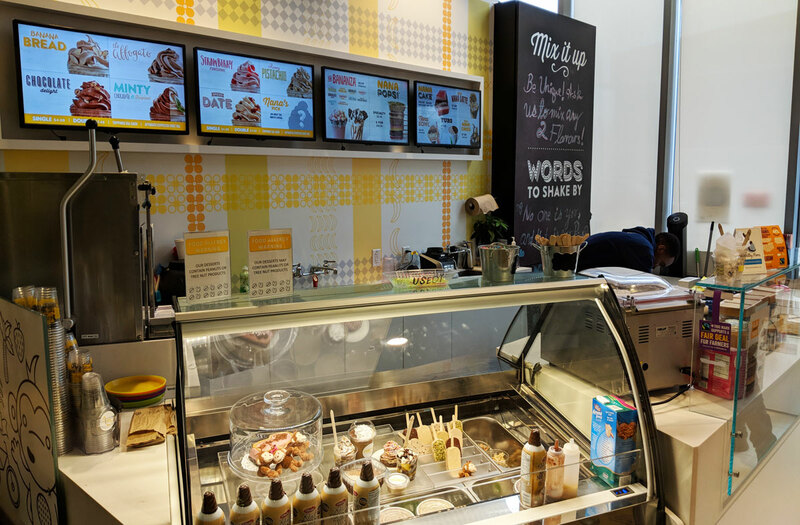 Recently, a place called Rita’s opened near Kensington Market, but based on one sampling (which was right when it opened, so I should probably give them another shot), it just tasted like regular soft serve. 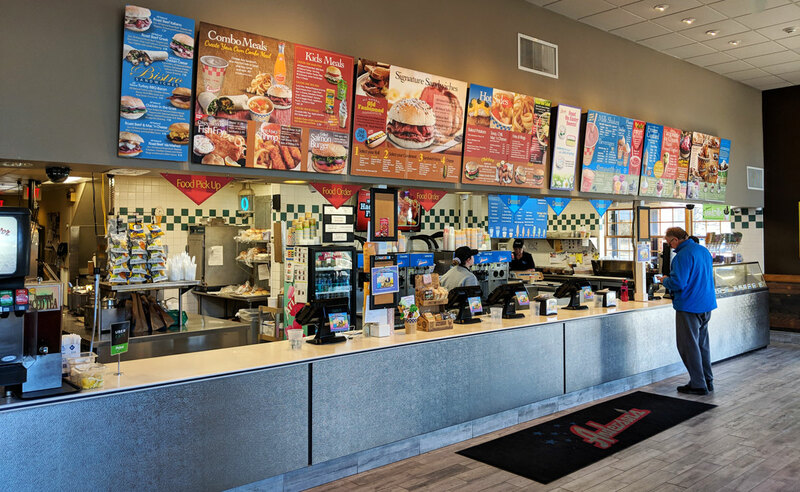 So — for now, at least — all frozen custard cravings need to be satisfied via a road trip to Buffalo. 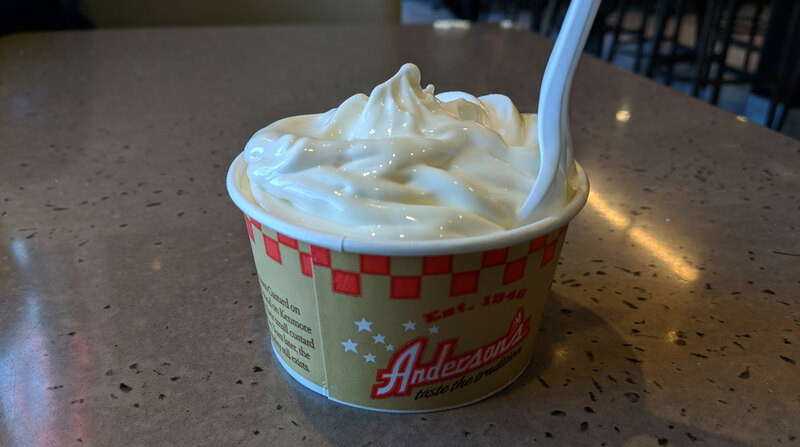 Though the frozen custard at Anderson’s isn’t exactly the best I’ve ever had, it’s rich and creamy, and it has a really nice custard flavour. It’ll do. When I was a kid, my family and I used to go to Florida every summer. 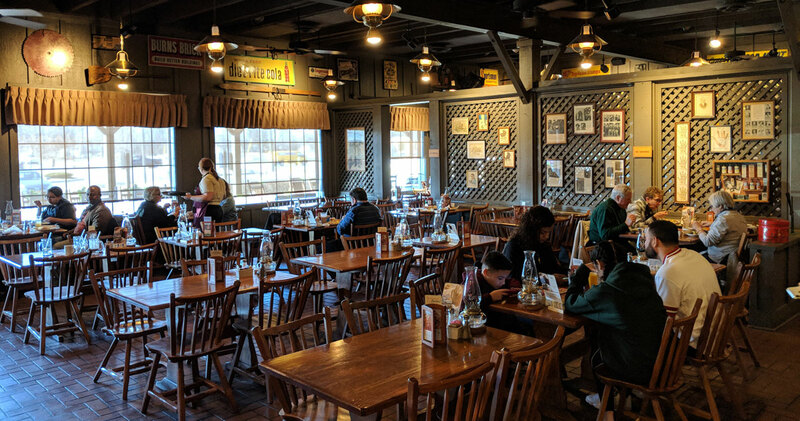 We’d always drive there, and a stop at the Cracker Barrel was a must. It’s not exactly gourmet, but if you’re craving greasy southern comfort food, it nicely fits the bill. 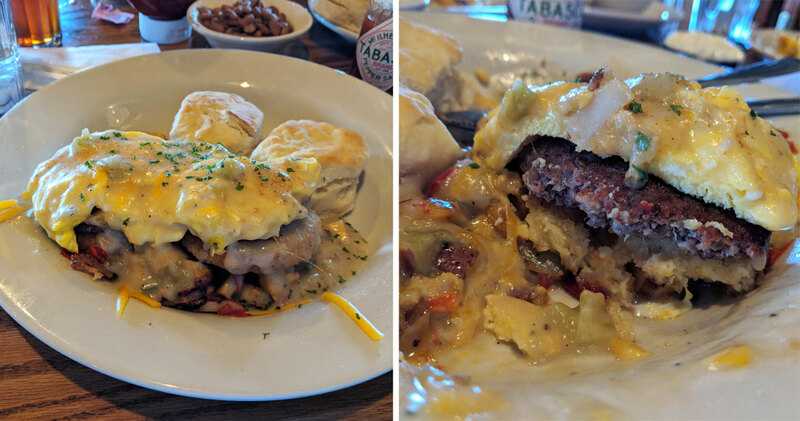 Enjoy a fresh take on Southern flavors with two deep-fried stone ground pimento cheese grits cakes and our Sweet Pepper n’ Red Skin Hash topped with sausage patties, two scrambled eggs, and shredded Colby cheese all smothered in our green tomato gravy with a sprinkling of fresh parsley. And it’s pretty much exactly what you’d think it would be from that description. 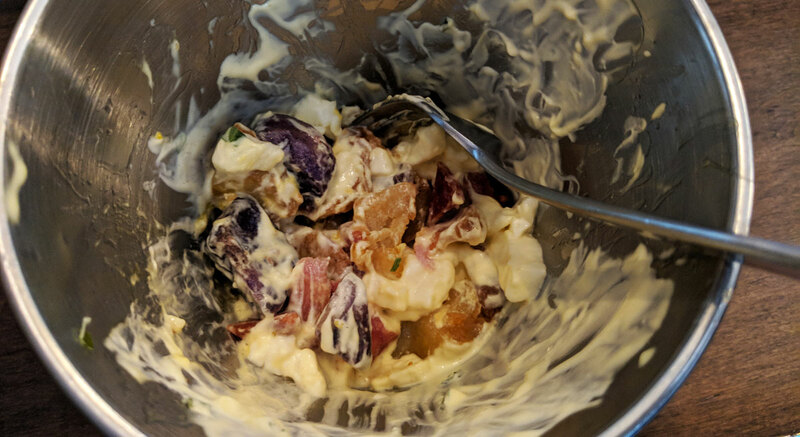 None of the individual components stand out as being particularly great, but they all kind of meld together into one cheesy, creamy, delicious mess. In particular, the zingy green tomato gravy does a great job of adding a pop of vibrant flavour, and cutting through the richness of the eggs and the cheese and the grits.